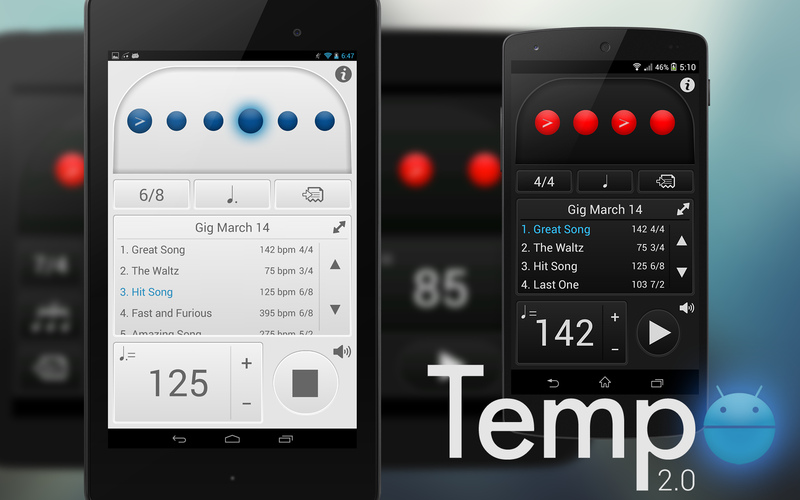 Tempo for Android is now available as a Lite version that incorporates core features. Frozen Ape is proud to announce for Android, the 2.0 update to its flagship app Tempo. 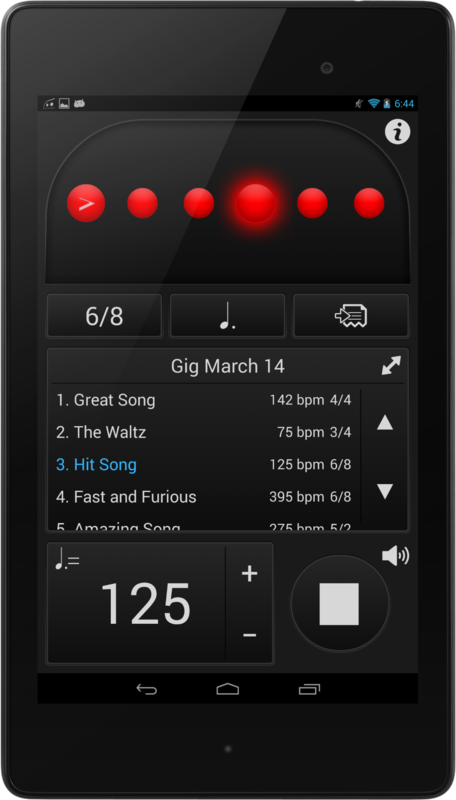 One of the top metronome apps made for mobile, Tempo has garnered more than half a million downloads. Tempo for Android is now brought closer to its famous iOS counterpart, gaining key features that users have been clamoring for. Version 2 is a major interface refresh, adopting a cleaner aesthetic that is in line with the industry trend towards flatter UI designs. Says Frozen Ape founder Zen Ho, “There are many metronome apps for Android, but not many developers have taken the time like we have to make them look great”. Users can now switch between dark and light themes to suit any lighting condition. This update adds portrait support, making Tempo one of the only few metronome apps that work in any orientation. Presets saved in setlists are now displayed as a scrollable list for easier navigation. 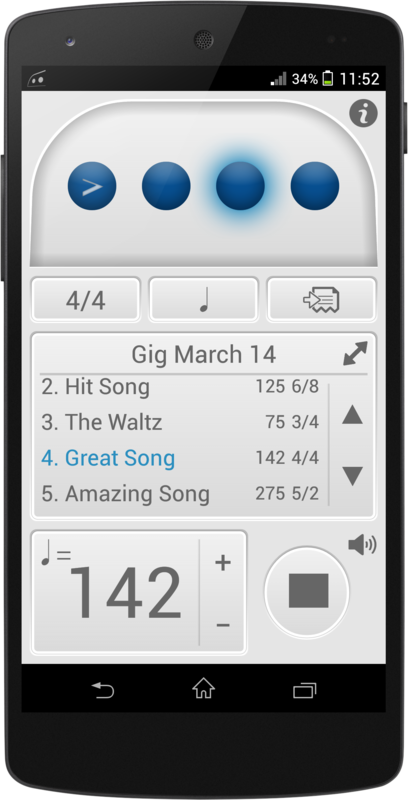 Other new features include a new Quick Edit mode, enhanced setlist editing options and an expanded Help section. 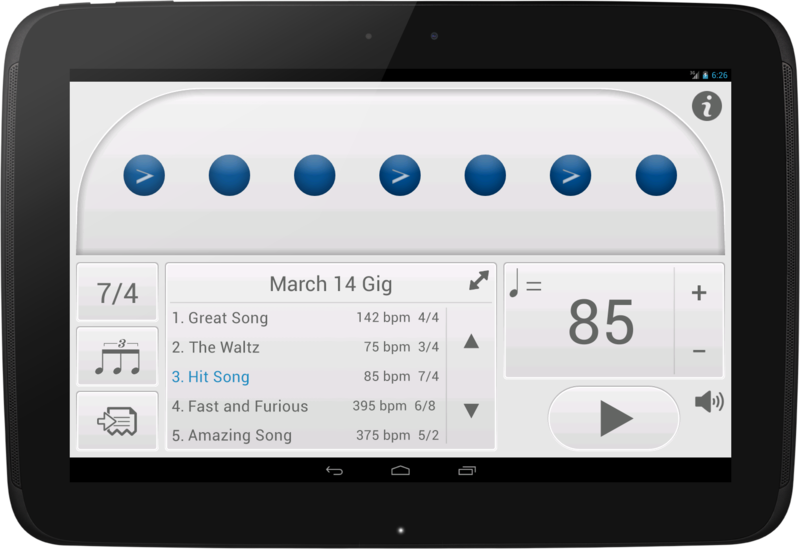 To make Tempo accessible to more Android users, Tempo is now also available as a free Lite version. Tempo Lite includes core features such as eight time signatures, six rhythm patterns, customizable beats and support for both portrait and landscape orientations. To download Tempo or Tempo Lite, search for “Frozen Ape” on the Google Play store or the Amazon Appstore. Tempo is priced at USD$0.99 or equivalent while Tempo Lite is free. To learn more, visit http://www.frozenape.com.